I like to live vicariously through other people’s organization, so I sat down with Netflix’s latest “You’re Disgusting Capitalists, America!” program, Tidying Up with Marie Kondo. In about 45 minutes she helps families clean their homes by sitting in the middle of their living room, greeting and thanking their house, and then telling them to get their crap together. She gets away with this because she is small and adorable, but should anyone plop down on my couch and announce they’re about to “greet my house,” they would find themselves greeting the sidewalk instead. Marie suggested piling all your clothes in one place, then winnowing out unwanted items, being sure to hold and thank them first. If you tell anyone on the West Side to politely thank an item before pitching it in the Goodwill bag, you will be politely but firmly asked to leave the Knights of Columbus pancake breakfast. Marie also introduces such radical concepts as throwing away half-eaten food, maybe folding a tee shirt once in a while, and—this positively shocked the California couple who looked with round eyes at the two toddlers running rampant in their home—scolding children when necessary. I was all for this, because I have no children and sometimes my plants get tired of being scolded, so I like seeing someone else affirming the parenting style I have chosen for my non-existent offspring. 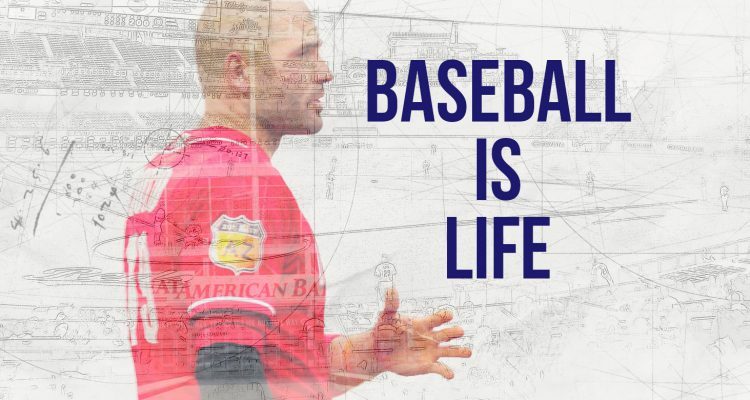 This show needs to be required watching for the entire Reds front office. 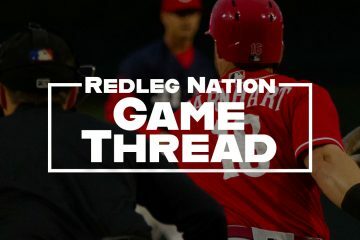 Really all Marie does is ask everyone to think realistically about their assets and how their home functions, which is the same question I have for the Reds: Are you just reorganizing the closet over there, or are you actually making committed changes to how this team functions and thinks? Is this really Operation: Get Joey a Ring or have you merely wiped down the kitchen counters while meat that spoiled in 2002 is still hanging around the fridge? Being overly clean has its drawbacks. You can ask Votto himself all about this. A while back the entire Reds press corps was hysterical with reports that Votto had been traded when they came upon his barren deluxe set of two lockers in the clubhouse, when, in fact, it was patiently pointed out that Votto just keeps a clutter-absent, tchotchke-free locker. The lack of understanding by journalists of who Votto really is reflects the whole town’s disconnect with this team over the past few seasons—who are we, really? Who are we trying to be? For how long? These are questions we can’t answer ourselves, especially at this point in the grass-growing cycle. Maybe even the front office and the players themselves can’t answer it at this point. The reply will be slowly revealed pitch by pitch, running decision by running decision. Ideally, the answer of who this club is, with or without clutter, already has a baseline short answer to be fleshed out later with reference notes, supporting paragraphs, and a bibliography. Being small and adorable and not much else isn’t going to work in the MLB. If it did, I’d have a line as the utility infielder. We recently endured a clothes weeding enforced by our youngest daughter–I styled it an intervention–but forgot to thank the clothes in question, an ommission I now regret. The spoiled meat is in the freezer, not the fridge, which is pretty crowded with stuff on the cusp of spoiling. Thanks for a good start to the day, Mary Beth. My mother once organized me and my sister to junk some of his decades-old shirts while he was away on a business trip. I’m not sure he ever forgave us. Excellent as always. I watched that show with my daughters, who didn’t have school yesterday, and they had the same reaction: why can’t these people pick up after themselves? The larger point is well taken, but it’s amazing how much trust I have in this front office after a few short months. From the manager to the coaching staff to non-tendering Billy to the Gray extension, every move makes sense and clearly there is a plan. It’s refreshing. I bet we see a rejuvenated Joey Votto as well. Right? With the picking up? I’m a slapdash kind of person when it comes to mundane matters but… I mean… when the ice cream cone is eaten, the paper wrapper goes in the garbage. And…. now I want ice cream. It got me to thinking. Just as I have too many ball caps and golf shirts, Jocketty could never have too many speedy center fielders who couldn’t hit their weight. You need a steely-eyed Germanic type who can pragmatically clean the house, and efficiently use resources. I should be a better cleaner, considering how German I am. I have never watched this show and probably never will, it is a part of de-cluttering my mind of worthless information. I agree with Soto, why can’t these people just pick up after themselves. This seems to be commonsense. Of course I was fortunate enough to marry a woman who also is small and adorable and continually questions the viability and usefulness of things. If they do not meet her criteria they get pitched. I certainly hope that this new and improved front office will continue down this path, hopefully the DFA of Billy shows they certainly mean to do this. Always enjoy reading your post Mary Beth. Realizing that I could just take digital pictures of cherished items changed evvvverrryything for me. Thanks for your continued writing in these long, cold days of the off season. I believe I’ll need to share this one with my wife as she’s read some of Kondo’s stuff and, while there are good basic principles, would side with you on talking to the house or t-shirts. Can I get an AMEN on the T-shirts…yeah, I’ve got wayyyy too many of those. Strangely, not enough Reds ones. Hm. And glitter. I would need glitter to experience joy. The manner in which she folds clothes in drawers revolutionized my attire. Previously my draws were stacked with garments, and only two or three items were visible at any given time. And since we do laundry often, I ended up wearing those items stacked on top, never bothering to dig deeper into the stacks of garments. With her system of folding I can see my entire arsenal. Revolutionary. The endless tweeting by the media of a team “checking in” on a player has become annoying. I think when the market is slow, as it has been the whole off-season, (save the Reds trade with the Dodgers), the media starts tweeting rumors for the fanbases to clamor about for a week or so until a new rumor magically surfaces. We need spring training to start in the worst way. I am so happy for your tee shirt folding joy! I married the world’s best shirt folder, but he knows he can be replaced by one of those plastic folding thingies at any time. Mary Beth, my Philosophy professor once engaged us in a discussion of “if you replaced every bit of (we’ll say) the Belle of Louisville…piece by piece…until not a single part of it left was original to the boat, is it STILL the Belle of Louisville? We decided that it was, of course – for the same reason that, even after the departure of Ken Griffey Sr. from the roster (he was the last one of the Great Eight, right?) that they might no longer be the Big Red Machine, but they’re still the Cincinnati Reds. 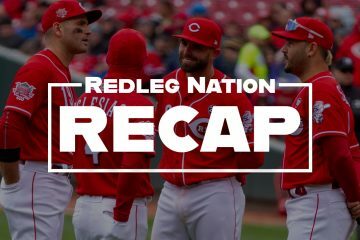 The answer to ‘who this club is’ will only be revealed after Spring Training, Opening Day, Star Wars Day (had to get that one in there), the All-Star Break and That Period Usually Occupied By the Reds’ Post-All-Star-Break Fade Into Obscurity™; are behind us. New front-office approach, new coaching staff, new (and improved!) players at multiple positions, including the starting rotation…who knows what 2019 will bring? But what I do know is that they’ll be the Cincinnati Reds. This month!! Spring training starts THIS MONTH!!!! !